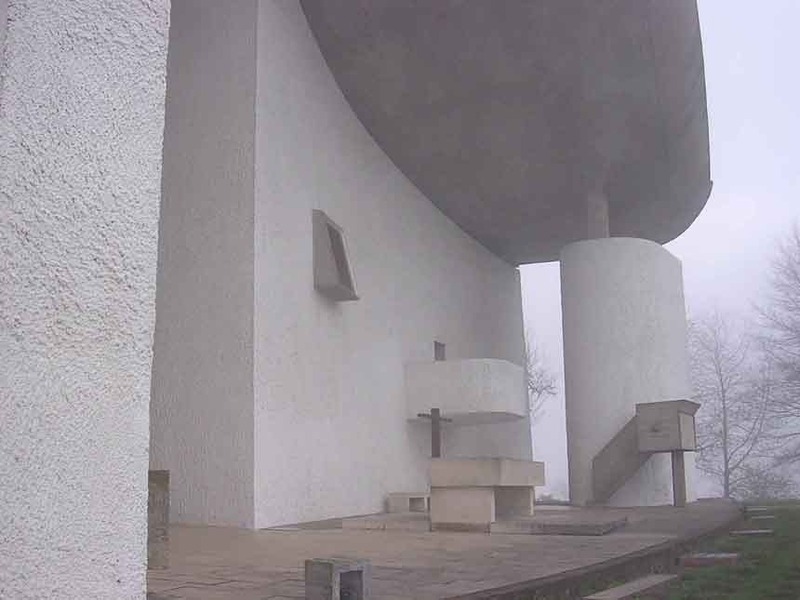 When you grow up wanting to be an architect, you learn about the Chapel at Ronchamp at an early age. It's an icon of modern design, as interpreted by the early 20th century architect Le Corbusier. Corbu and Frank Lloyd Wright were a little bit like Madonna: artists so rich in ideas (Madonna? OK, maybe I went too far, but you get the point) that they were capable of remaining ahead of trends they themselves ironically created, reinventing themselves and opening up new veins of ideas in their art several times over their careers. Ronchamp represents a late stage in Corbu's career when, like many poets, he began to see beauty in traditions and forms he might have held in contempt during his revolutionary youth. The building is based on a traditional plan, but it's striking forms are pure modern invention, some say based on a nun's hat. We went to see the place at the end of a trip to visit Spence in Leysin, Switzerland, during his junior year of high school at the American School of Leysin. I walked around taking these exterior photos, then went inside. Given the expectations set by the exterior, one is kind of shocked by the intimacy of the interior. One discovers the acoustics are insane. One gets the uncontrollable urge to do a Gregorian chant. 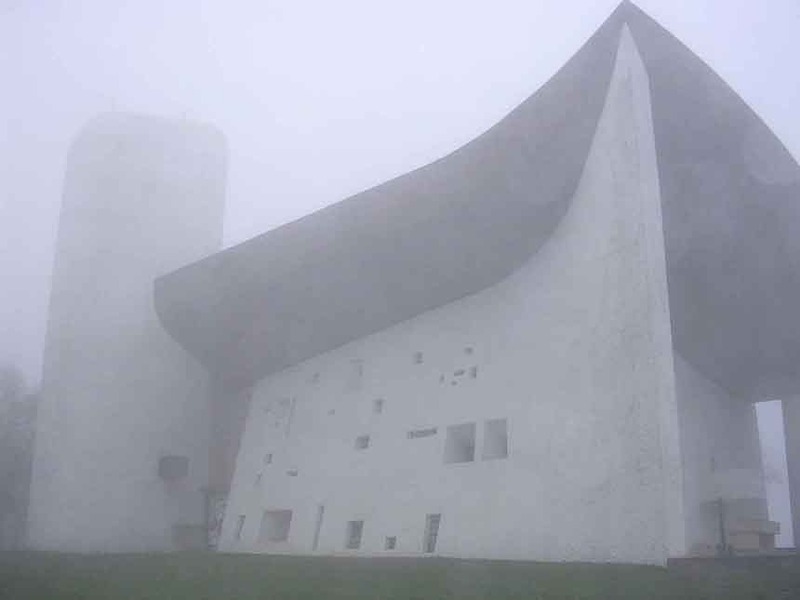 Did any of you have a memorable experience visiting Ronchamp? I'm hoping none of you say "Yeh, one time I was there and this douchebag was singing inside." Even though I make my living doing architectural watercolor renderings, and architectural rendering, watercolor techniques, pen and ink techniques, watercolor rendering techniques and architectural rendering techniques, I still want to go back to doing architectural design someday. There's nothing like the feeling of creating a building.